It seems like lots of area cities have festivals and car shows this time of year. I guess they figure this is the last chance to get them in before it snows. You'll see these type of car shows in Shawnee, Olathe, and St. Joe, to name a few. Me, I'll be spending most of my time at the annual Midwest All-Truck Nationals in Riverside. This is a big, three-day event, and it usually brings a really impressive collection of trucks to check out. Plus, since it occurs on the weekend of September 11, it seems appropriate that they have a big Toys for Tots drive at this event with the U.S. Marines. Wherever you live in the KC Metro area, and whatever kinds of cars you like, you are sure to find an event to enjoy near you. See the full schedule of car shows, car cruises, and car races, plus the NASCAR schedule from Richmond, in the list below. Friday, September 9. Riverside, Mo. Riverside Red-X Monthly Cruise. This will also be combined with the Midwest All-Truck Nationals Cruise. 240 NW Platte Rd, 64150. 5-8:00 p.m. For more information, call (816) 741-3377. Friday, September 9. Overland Park, Kan. Hollywood Nights Longbranch TGIF Cruise. Dan's Longbranch Steakhouse and Saloon, 9095 Metcalf, 66212. 6:00 p.m.-10:00 p.m. For more information, call Dan at (913) 642-9555. Friday, September 9. Basehor, Kan. Basehor Boys Cruise Night. Sonic Drive-In. 155th and State Ave. US24/40, 6 Miles west of the Kansas Speedway/Legends. For more information, call Don at (913) 579-1669. Friday, September 9. Blue Springs, Mo. Winstead's Cruise Night. 7-Highway and I-70. 6:00 p.m. For more information, call Jim at (816) 841-2116. Friday, September 9. Independence, Mo. HPAC East Cruise Night. Sonic Drive-In. 4001 Jackson Dr, 64057. 6:00 p.m.-9:00 p.m. For more information, e-mail hpacmopar@hotmail.com. Friday, September 9. Lone Jack, Mo. Happy Days Dream Cars Cruise. Sonic Drive In, 101 Battlefield Road, 64070. 6:00 p.m.-9:00 p.m. For more information, call Chris at (816) 616-6612. Now-September 25. Kansas City, Mo. Art of the Chopper Exhibit in Kansas City's Union Station. 30 West Pershing Road, 64108. For more information, call (816) 460-2020, or visit http://www.unionstation.org/chopper/index.php. Friday, September 9-Saturday, September 10. Wichita, Kan. Starliner Garage Krawl and Kar Show presented by Stray Kat Kustoms. Kansas Aviation Museum, 3350 S George Washington Blvd, 67210. For more information, call (918) 534-2190. Saturday, September 10-Sunday, September 11. Riverside, Mo. 9th Annual Midwest All-Truck Nationals presented by the Genuine Chevy-GMC Truck Club of Kansas City. Riverside Red-X. 240 NW Platte Rd, 64150. Open to all trucks. For more information, call Gaileen at (816) 536-4591, or visit http://alltrucknats.com/. Saturday, September 10. Independence, Mo. Hartman Heritage Center Cruise-In. Jackson Drive next to Buffalo Wild Wings. 6:00 p.m. For more information, call Jim at (816) 808-1154, or visit www.shopphh.com. Saturday, September 10. Olathe, Kan. Radical Ridez Cruise Night. Sonic Drive-In. 915 S Parker, 66061. For more information, call Dan at (913) 440-9828. Saturday, September 10. Belton, Mo. Jim's Discount Muffler Car Show presented by the Posse Car Club. Markey Park, 615 Markey Rd, 64012. 10:00 a.m.-2:00 p.m. Proceeds support families of fallen police officers. For more information, call Don at (816) 550-2105 or Jim at (816) 331-4909. Saturday, September 10. Kansas City, Mo. IAM Local 778 60th Year Anniversary Celebration Car Show. 9404 Grandview Rd. For more information, call Elmer at (816) 588-5760, or Steve at (816) 695-4195. Saturday, September 10. Lee's Summit, Mo. Dan's Cruise Night. Gibson's General Store, Highways 50 and 7. 5:00 p.m.-8:00 p.m. For more information, call (816) 524-2221 or (816) 524-2353. Saturday, September 10. Overland Park, Kan. Mustang Club of Greater Kansas City Cruise Night. Foster's Grille. 11831 Metcalf, 66210. 6:00 p.m.-9:00 p.m. For more information, visit http://mustangclubofgreaterkc.com/activities/cruise-nights or www.facebook.com/MustangClubOfGreaterKC. Saturday, September 10. St. Joseph, Mo. Northwest Missouri Street Rods Cruise Night. Frederick Ave and Village Dr (Perkins--Exit 47). 5:00 p.m.-9:00 p.m. For more information, call Kat at (816) 233-0312, or Galen at (913) 365-4832. Saturday, September 10. Springfield, Mo. Decades Car and Fashion Show. Historic Commercial Street. For more information, call (417) 300-8756, or visit http://www.decadesevents.com. Saturday, September 10. North Kansas City, Mo. 2nd Saturdays NKC Car Cruise. 1900 Fayette Street. 3:00 p.m.-9:00 p.m. For more information, call Steve at (816) 412-7907, or e-mail sebeamer@nkc.org. Saturday, September 10. Topeka, Kan. HPAC Car Cruise. Fairlawn Plaza Shopping Center, 21st and Fairlawn Rd, 66614. 6:00 p.m.-10:00 p.m. For more information, call (785) 231-0719. Saturday, September 10. Olathe, Kan. Old Settler's Days Car Show. Downtown Olathe, behind City Hall, Chestnut and Santa Fe Dr. 9:00 a.m.-3:00 p.m. For more information, call Brad at (816) 809-1932. Saturday, September 10-Sunday, September 11. Laurie, Mo. Westlake Street Machine Fall Follies presented by the Laurie-Sunrise Beach Rotary Club. 269 Fairgrounds Rd, 65038 . For more information, call Mike at (573) 374-9500, or (573) 280-5552. Sunday, September 11. Shawnee, Kan. 6th Annual Wheels and Dreams Car, Truck and Bike Show. Johnson Dr and Nieman Rd. 11:00 a.m.-4:00 p.m. For more information, visit this link. Sunday, September 11. Kansas City, Mo. 3rd Annual Speed The Light Car, Truck and Bike Show. Calvary Assembly of God. 9320 Elm Ave, 64138. For more information, call Danny at (816) 761-0230, or e-mail calvaryag@att.net. Sunday, September 11. Kansas City, Mo. Art of the Machine Display featuring the Mid-America Mustangers. 10:00 a.m.-2:00 p.m. Kansas City’s City Market. For more information, visit http://www.thecitymarket.org/, or e-mail ppowers@copaken-brooks.com. Sunday, September 11. Kansas City, Mo. Chubby's on Broadway Cruise. 3756 Broadway, 64111. For more information, visit http://www.chubbysonbroadway.com/. Friday, September 9. Grain Valley, Mo. ASCS Warrior Region Sprints and Lightning Sprints. Valley Speedway, 348 E Old 40 Hwy, 64029. 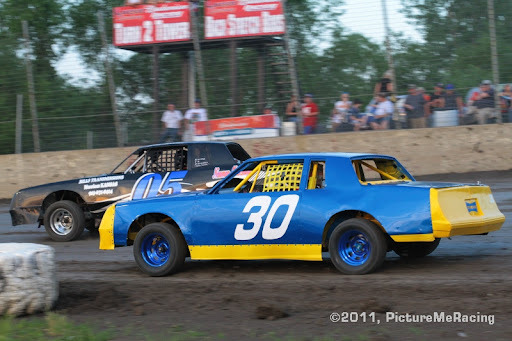 For more information, call (816) 229-2222, or visit http://valleyspeedway.com/default.aspx. Friday, September 9. Lebanon, Mo. Weekly Racing. Midway Speedway. 6 miles east on Highway 32 and then right on B Highway, the speedway is 1/2 mile down B Highway on the right-hand side. For more information, call (417) 588-4430, or visit http://www.lebanonmidwayspeedway.com/. Friday, September 9. Kansas City, Mo. Friday Night Grudge. Kansas City International Raceway, 8201 S Noland Rd, 64138. For more information, call (816) 358-6700, or visit http://www.kcironline.com/. Saturday, September 10. Grain Valley, Mo. Weekly Racing. Valley Speedway, 348 E Old 40 Hwy, 64029. 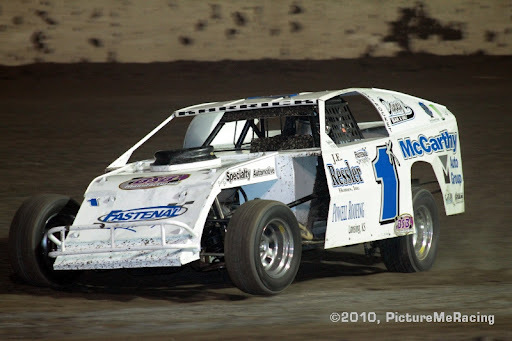 For more information, call (816) 229-2222, or visit http://valleyspeedway.com/default.aspx. Saturday, September 10. Kansas City, Mo. VAMP HeadsUp Racing Series. Kansas City International Raceway, 8201 S Noland Rd, 64138. For more information, call (816) 358-6700, or visit http://www.kcironline.com/. Saturday, September 10. Winston, Mo. Weekly Racing. I-35 Speedway. Interstate 35 and Highway 6, 64689. For more information, call (660) 749-5317, or visit http://www.i-35speedway.net/. Saturday, September 10. Nevada, Mo. Weekly Racing. Nevada Speedway, S Barrett Ave, 64772. For more information, call (417) 667-5859, or visit http://www.nevadaspeedway.net/. Saturday, September 10. Lebanon, Mo. Weekly Racing. I-44 Speedway. 24069 Route 66, 65536. For more information, call (417)532-2060, or visit http://www.i44speedway.net/. Saturday, September 10. Topeka, Kan. NHRDA World Finals. Heartland Park Topeka Drag Strip, 7530 Topeka Blvd, 60610. For more information, call (785) 862-2016, or visit http://www.hpt.com/. Sunday, September 11. Kansas City, Mo. Grass Root Bracket Series. Kansas City International Raceway, 8201 S Noland Rd, 64138. For more information, call (816) 358-6700, or visit http://www.kcironline.com/. Sunday, September 11. Topeka, Kan. Drag Week Test-N-Tune. Heartland Park Topeka Drag Strip, 7530 Topeka Blvd, 60610. For more information, call (785) 862-2016, or visit http://www.hpt.com/. Jeff Gordon beat a charging Jimmie Johnson to win a rain-delayed race this week in Atlanta. And now, the stars and cars of the Cup series go short-trackin' in Richmond, Va. Former Lakeside driver Clint Bowyer called Juan Pablo Montoya a "jackass" after he crashed in Tuesday's race, so there's always the possibility of retaliation on the short track. The trucks have the weekend off. Friday, September 9. Richmond, Va. NASCAR Nationwide Series Virginia 529 College Savings 250. Richmond International Raceway. 6:30 p.m. (c/t). ESPN 2. Saturday, September 10. Richmond, Va. NASCAR Sprint Cup Series Wonderful Pistachios 400. Richmond International Raceway. 6:30 p.m. (c/t) ABC TV.